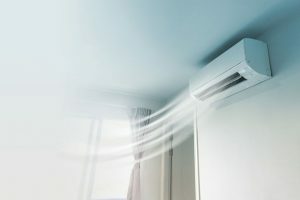 There are several maintenance services that can help improve your indoor air quality and extend the life of your AC unit. At Caldeco Air Conditioning & Heating, we can provide you with any maintenance services you could need, including air duct cleaning services, air filtration, scheduled maintenance and more. During normal operation, contaminants and allergens, such as pollen, germs, dust, mold, pet dander and more, enter your AC system. Even with the best AC filters, up to 95% of these contaminants can make their way into the air you breathe and onto nearly every surface of your home or office. Left unchecked, these contaminants can build up and aggravate allergies as well as cause a host of other debilitating health conditions. However, with regular air duct cleaning services from Caldeco Air Conditioning & Heating, you can safely reduce the harmful effects of these unwanted pollutants, improve your air quality and help to extend the life of your unit. Caldeco Air Conditioning & Heating specializes in air duct cleaning and sealing, and our licensed technicians are ready and able to perform our top-rated service on nearly any residential or commercial system. The central air repair, maintenance and installation services available from Caldeco Air Conditioning & Heating are unmatched by other AC contractors in the area. Each of our technicians is NATE certified and has earned national competency certification to help ensure that each job completed by our team is to your 100% satisfaction. We are proud to offer affordable maintenance plans to those in Tampa, Wesley Chapel, Brandon, Westchase, New Tampa and the neighboring cities, so contact us today to schedule central air repair, air duct cleaning services or any other heating and cooling services you might need. Our team is ready to be dispatched to your home or office, and we look forward to helping you keep cool in the Florida heat!